Hello beautiholics,how are you all,hope doing well.Today,I am very excited as in one of my post I have told you that there is something very important coming on the blog and guess what it’s here. 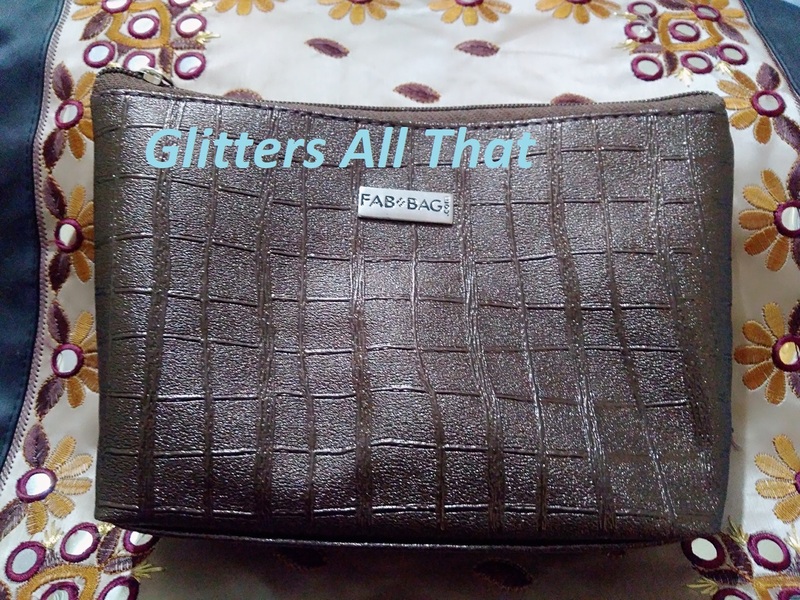 I have subscribed for a Fab Bag.Though it has come quite late and took a lot of time but finally it’s here and my wait was worth it.Now before starting today’s post let me give you a brief and quick introduction regarding fab bag. 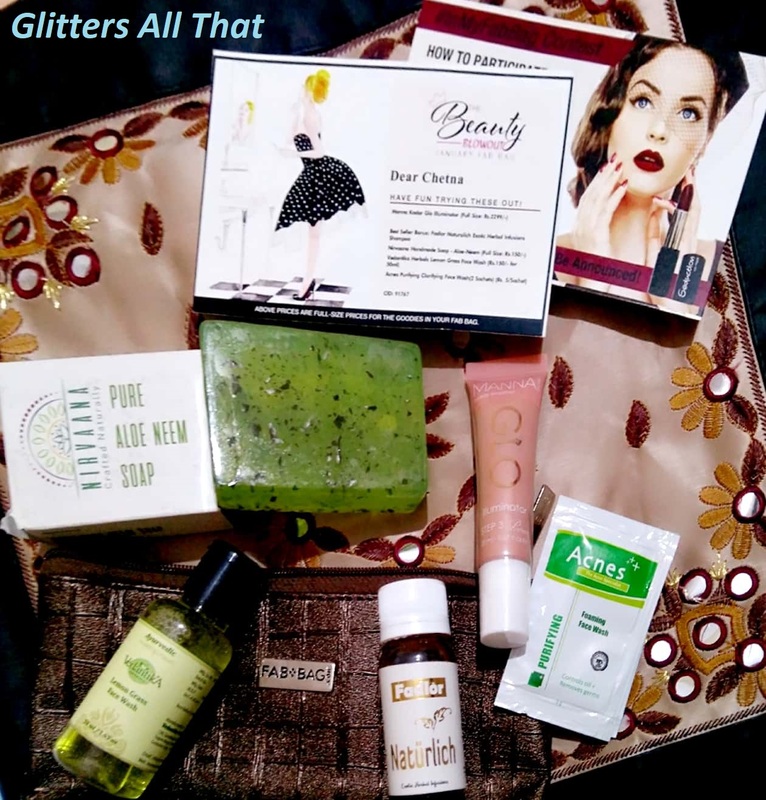 Fab bag is a monthly beauty bag for women.This bag is generally for the women’s who are beauty enthusiastic and are looking for great products. A beautiful and delightful bag comes every month with 3 to 4 amazing products in it and it’s really worth having it.There are various subscription plans like Rs 599/- for 1 month,Rs 1599/- for 3 months,Rs 2899/- for 6 months and Rs 4999/- for 12 months. Now coming to January Fab bag,the theme for January fab bag was Beauty Blowout. The bag came in a printed cardboard box packaging with Fab Bag written all over it and inside the cardboard box was the January Fab Bag. The bag is chocolaty brown in color with some texture on it and the quality of bag is really nice. 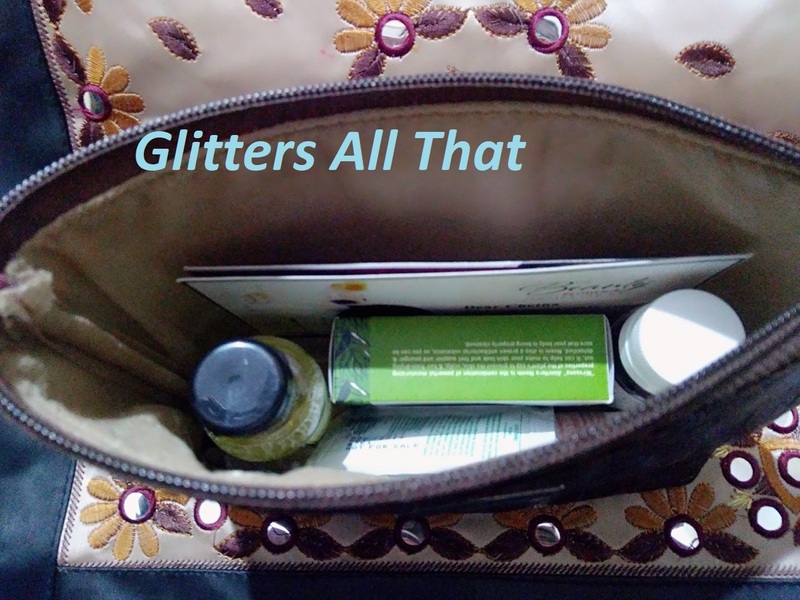 It is quite good and travel friendly bag and will be useful for storing makeup. Now let’s see what came inside the bag there were two cards in the bag which came first in my hand as soon I opened the bag one card has list of product with the quantity and price of each product mentioned on it while the other one has there monthly contest details. 1. )Vedantika Herbals Lemon Grass Face Wash – The cost of this face wash is Rs 150/- for 50 ML. This is a travel size product. Lemon grass and Palmrosa oils are known for their anti-microbial, anti-fungal and antiseptic therapeutic properties. Pure Aloe Vera hydrates the skin,making face soft and bright. 2. )Nirvaana Handmade Pure Aloe-Neem Soap – The cost of this soap is Rs 150/- for 100 Gm and it is a full size product.Nirvaana soaps are traditionally handcrafted 100% paraben free bathing bars. Each bar gives you a very refreshing and enjoyable bath with various health and skin benefits. 3. )Fadlor Naturlich Exotic Herbal Infusions Shampoo – The cost of shampoo is Rs 100/- for 30 ML.This a also a travel size product.Cleanses and nourishes the scalp,conditions the hair making it healthy,soft and shiny. 4. )Acnes Purifying Clarifying Face Wash – They have given 2 Sachets of the face wash each sachet cost Rs 5/- for 3 Gm. The face wash is for the people with oily and acne prone skin. 5. )Manna Kadar Glo Illuminator – The cost of Manna Kadar Glo Illuminator is Rs 2299/- for 20 ML and it is full size product. I was provided with the 2 choices for this either Manna Kadar Glo Illuminator or a Sugar Bronzer, Blusher, Highlighter + Bella Voste Chubby stick.So,I chose Manna Kadar Glo Illuminator. We can wear it with foundation or alone. 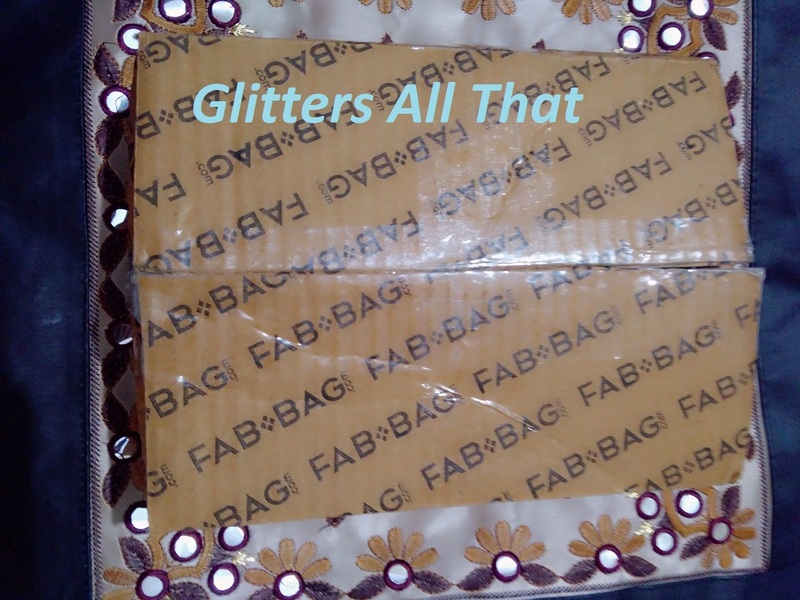 So, atlast I feel this month Fab Bag was a perfect blend of ayurvedic and herbal product and less of makeup product. I really appreciate their product choices as they have covered all the products from Shampoo to Body Soap to Face wash which are required on regular basis so it is perfect bag for daily skincare routine.The best part is that all these are according to my skin type and are really going to be useful to me. I also liked their makeup choices both were best but unfortunately we have to choose one so it was quite difficult for me. I think the first impression was really nice of this bag on me though it was delivered quite late so only issue was delayed delivery. Rating – I would rate this month bag 4/5, if it was delivered on time I would have given it 5/5. 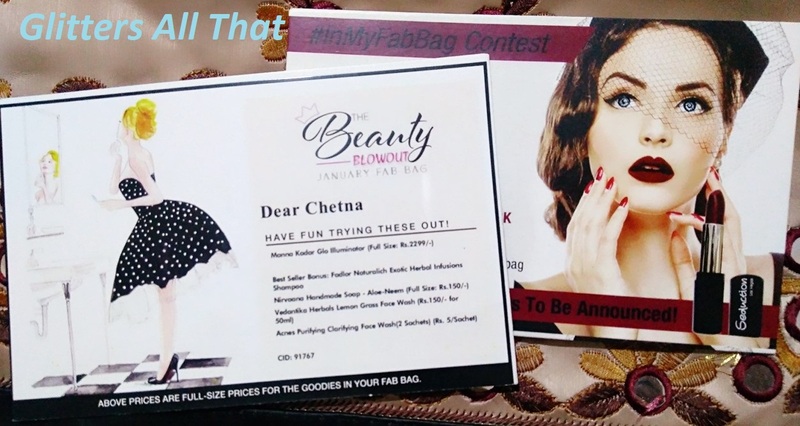 Guys hope you like the review, soon I will be reviewing all these products in detail in coming posts, till then please comment below how did you feel about this January Fab Bag and do subscribe via Email and Follow me on social media for all latest updates. Interesting. Is this product aviable only in India, or they shipit around the world?